View the current 2019 NCSRP-funded research projects and progress reports. The persistent hot weather in many areas of the country this growing season may be conducive to the development of charcoal rot disease in soybean. Farmers, agronomists, crop consultants and specialists are encouraged to scout for this particular disease now. 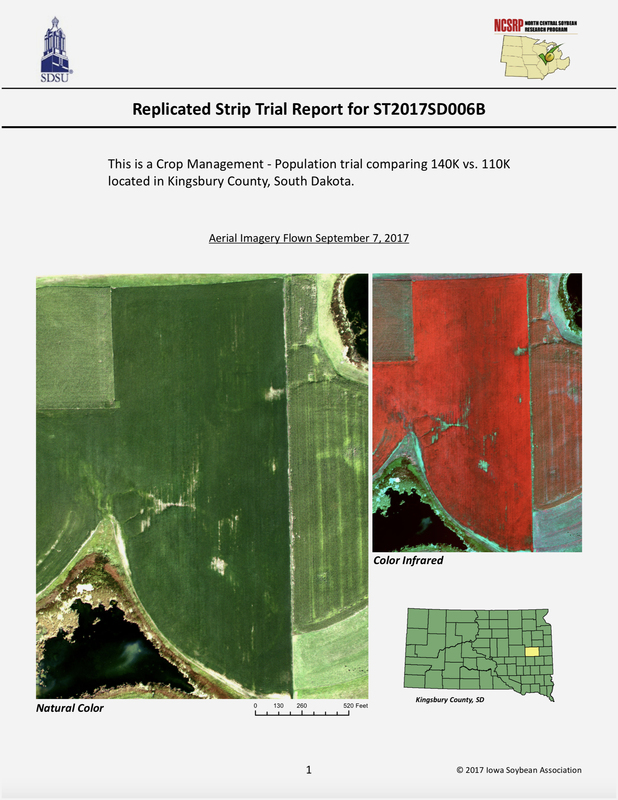 Although charcoal rot is most severe in years and areas experiencing hot, dry weather, this disease can also cause losses when ample moisture is present, making it a hidden threat to yield. The causal fungus spreads from the roots to the stem, filling tissues with small, dark, round fungal structures called microsclerotia. These structures clog vascular tissue, causing wilting, yellowing, and stunting of the plant, which is more apparent in drought-stressed areas. “It is important to determine if charcoal rot is present because microsclerotia can survive in soil for several years and the fungus can infect a number of rotation crops, including corn, cotton and grain sorghum, which limits the effectiveness of tillage and rotation for managing the disease,” said Daren Mueller, associate professor and extension plant pathology specialist at Iowa State University. To determine if charcoal rot is present, remove symptomatic plants from the soil profile and either split the lower stems or gently remove the outer bark of the plant to look for microsclerotia. Foliar fungicides are ineffective at preventing or reducing disease development. 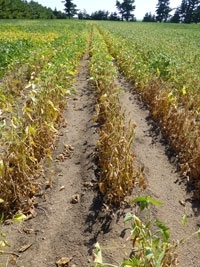 Irrigating soybeans can help reduce water stress, but may not prevent charcoal rot development in fields with a history of the disease or in situations where irrigation is poorly managed. 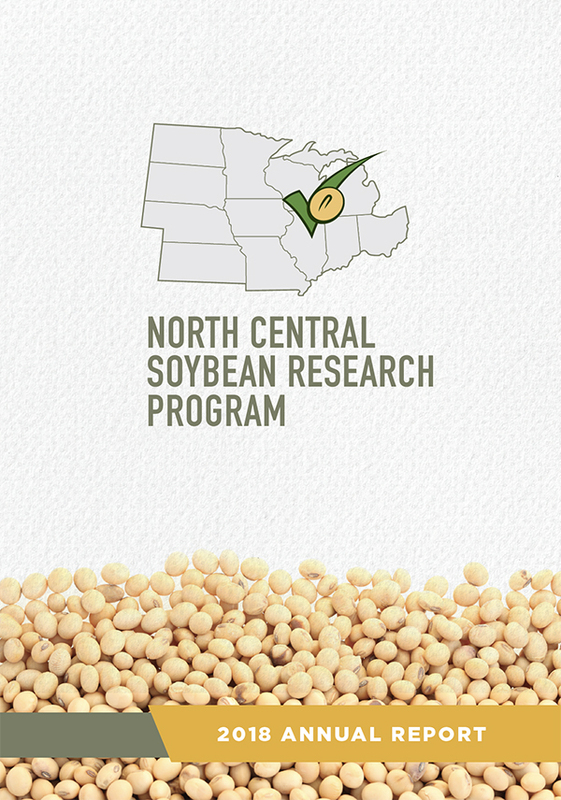 The United Soybean Board and North Central Soybean Research Program have funded research that helps us better understand charcoal rot. Through these projects, resources have been developed that can be used by soybean farmers and other agriculture allied personnel to help diagnose and manage charcoal rot. In general, effective management begins by properly diagnosing the disease. Although in-season management practices are not available for charcoal rot, an integrated management approach can be developed and implemented in subsequent seasons. 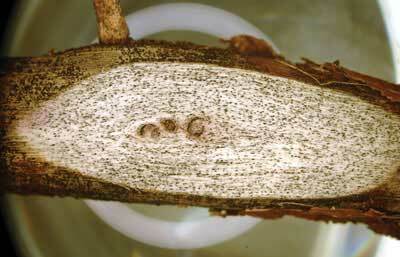 Advancing our Understanding of Charcoal Rot in Soybeans - Journal of Integrated Pest Management. A comprehensive summary of the findings of charcoal rot research published to date (2017).